From novice to master, nearly all artists have attempted some form of a self-portrait at some point in their career. Famous self-portraits created by most prominent figures throughout the history of art are a testament of this genre’s versatility. This long established form of portraiture dates back to antiquity, but it was not until the Early Renaissance in the mid-15th century that painters began depicting themselves as the main subject more frequently. 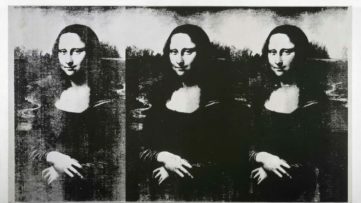 Using mirrors as technical means, many painters, sculptors and printmakers have been reproducing their own image in various different and innovative ways for a variety of motives. Some have often been creating repetitive self-portraits as they aged to capture the ever-changing self. Jan van Eyck’s Portrait of a Man in a Turban is regarded as the earliest known panel self-portrait. Albrecht Durer was also a prolific self-portraitist and he has created more than twelve self-portraits in various techniques. During the Renaissance, painters such as Masaccio, Piero della Francesca, Sandro Botticelli, Titian or Michelangelo Buonarroti avoided formal self-portraits and inserted their own images into different setting in their paintings. The prolific Dutch genius Rembrandt van Rijn has executed over 40 self-portraits over the course of his artistic career and he was obsessed with aging image of himself. Many 19th-century painters such as Francisco Goya, Edouard Manet, Henri de Toulouse-Lautrec were also very much interested in the genre of self-portraiture and have depicted their own image either individually or in groups. Vincent van Gogh was one of the greatest self-portraitists of the 19th century and his most notable work is a Self-Portrait With the Bandaged Ear created during his emotional and physical decline. Egon Schiele has created numerous controversial and shocking self-portraits in his recognizable expressionistic style, Edvard Munch has painted himself regularly to show the ill treatment he suffered in life, Frida Kahlo has created over 50 self-portraits to depict her personal torment and the German Impressionist painter Lovis Corinth painted himself once a year on his birthday. 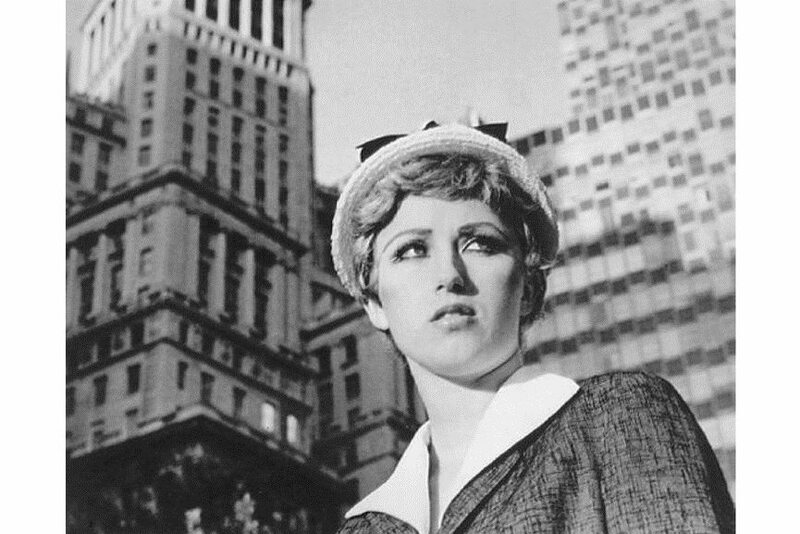 The contemporary self-portraiture has spread across all media and styles from Warhol’s Pop Art portraits and Francis Bacon expressionistic ones to photorealistic pieces by Chuck Close and self-portrait photography by Cindy Sherman that explores the female identity. 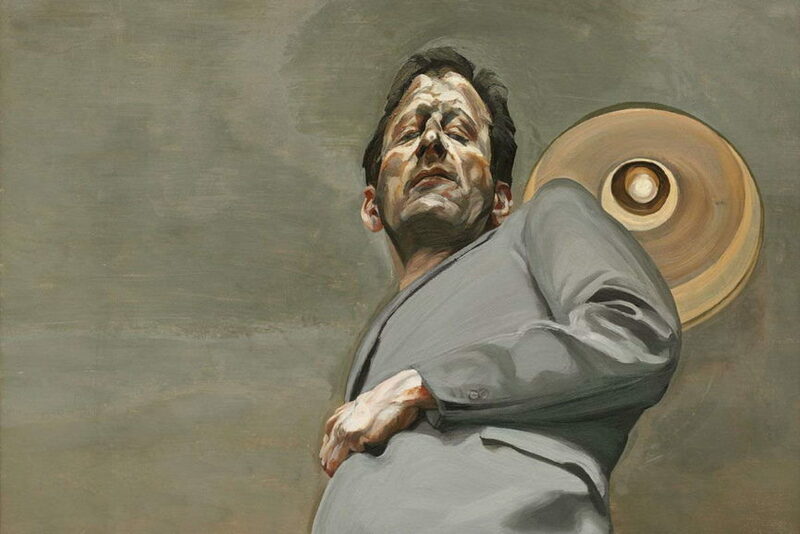 Let’s take a look at the most famous self-portraits. 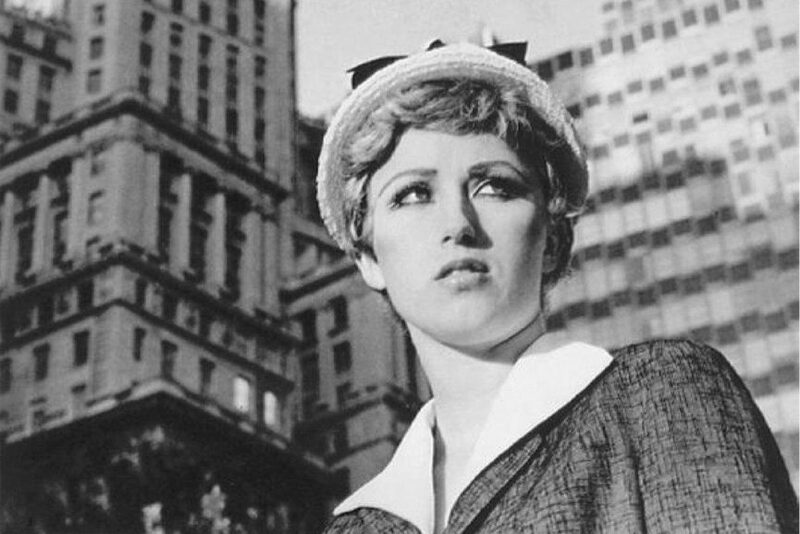 Check out an interesting selection of works by Andy Warhol! 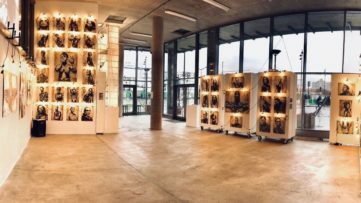 Find out more about the history of self-portraiture through this comprehensive publication with fresh interpretations of famous examples and works, ideas and anecdotes. Mapping the of self-portraiture culturally, this book explores the genre from the earliest myths of Narcissus and the Christian tradition of “bearing witness” to the prolific self-image-making of today’s contemporary artists. The book covers famous works that provide insights into artists’ personal, psychological and creative worlds. Covering topics such as the medieval mirror craze, confessional self-portraits of Renaissance masters, the mystique of the artist’s studio or the recurring self-portraits, this book is a truly comprehensive research. The book is beautifully illustrated and covers icons such as Beckmann, Caravaggio, Dürer, Gentileschi, Giotto, Goya, Kahlo, Magritte, Mantegna, Picasso, Raphael, Rembrandt, Van Eyck, and many more. The Italian Late Renaissance painter Parmigianino has painted this portrait using the convex mirror. He was fascinated by the distortion throughout his career. 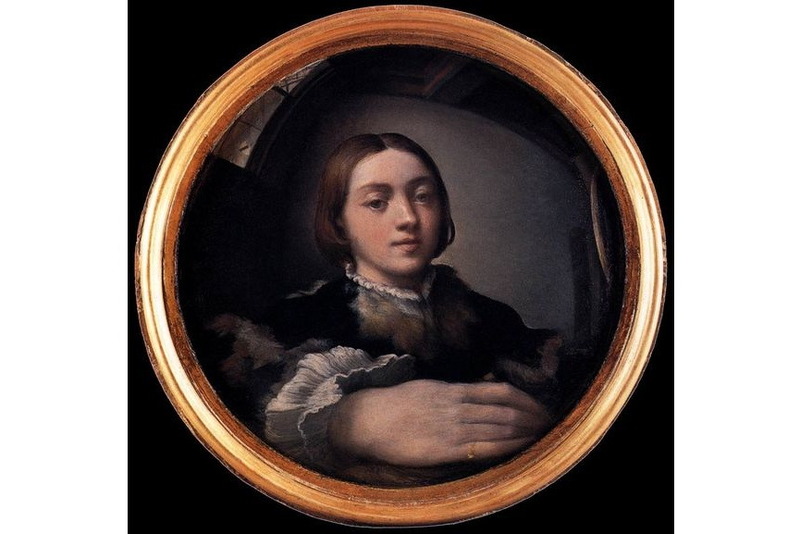 Depicting the distorted reflection of the young artist in the middle of a room, the foreground of this portrait is dominated by the greatly enlarged artist’s hand distorted by the mirror. The artist’s expression is unusually serene with sweet and striking features. The piece is painted on a convex panel in order to imitate the curve of the mirror. The Late Renaissance art biographer Giorgio Vasari stated that the self-portrait was created as a bravura performance to showcase the artist’s talent to potential customers. Rembrandt’s 1637 painting The Prodigal Son in the Brothel portrays two people who have been identified as Rembrandt himself and his wife Saskia. 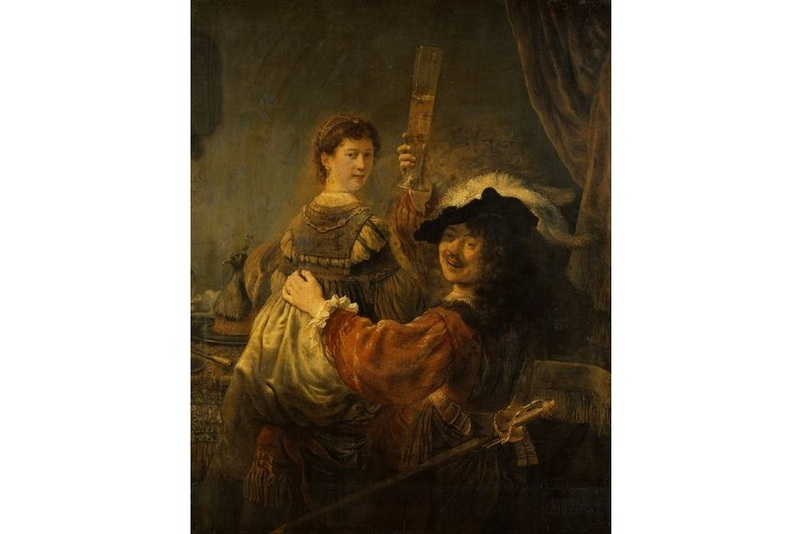 The artist and his wife are painted as the younger son and a bar prostitute in a depiction of life in the far country. Rembrandt was drawn to the parable of the prodigal son throughout his painting career and was returning to it several times. Identified as one of the greatest of all Jesus’ parables, this parable has inspired many creatives from across the ages and around the globe for its moral and religious background. It is believed that the left side of the canvas was cut by the artist himself to place the viewer’s focus on the main theme. 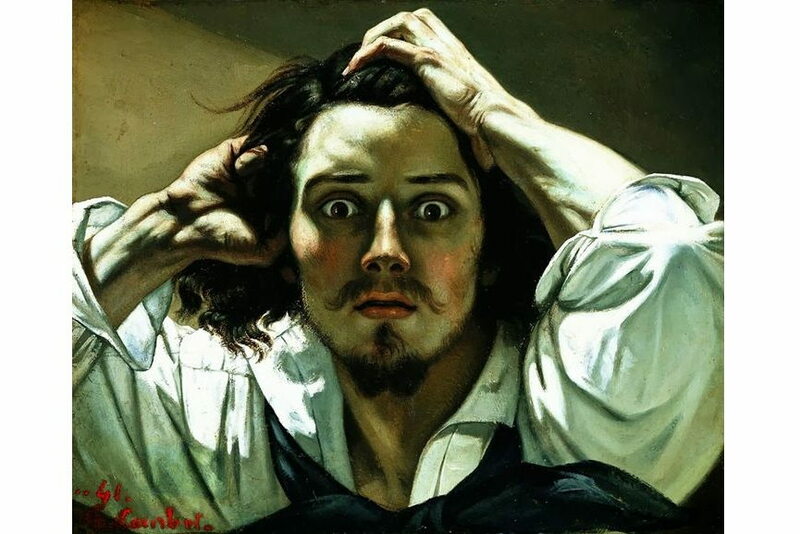 The painting Le Désespéré is a self-portrait of artist Gustave Courbet as a young man in despair. The artist’s close-up shows the eyes wide open that plunge into the viewer. Painted with lots of contrasts, the character seems to leap of the canvas. It remains unclear whether the despair depicted in the painting was the artist’s current emotion or a mere theoretical exercise. 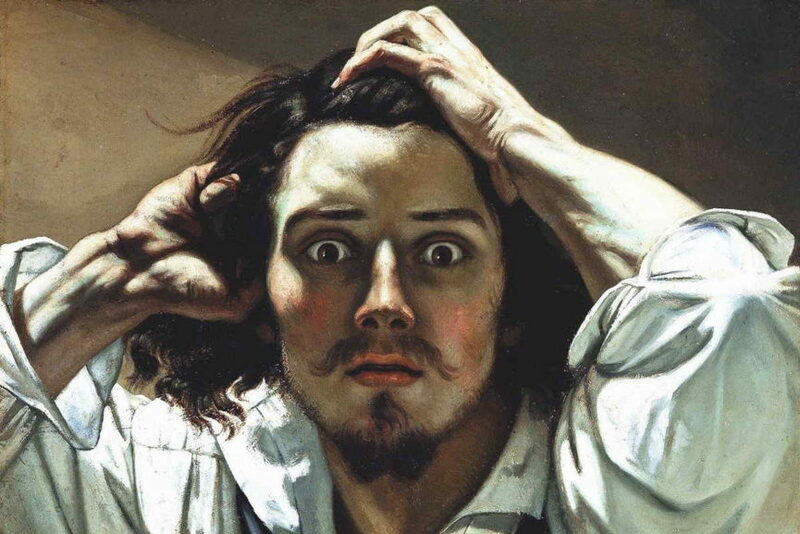 Portraits of the time were traditionally vertical, but Courbet has chosen to use a landscape orientation for his painting. It is believed that he was particularly keen on this piece, since he has taken it to exile in Switzerland with him. 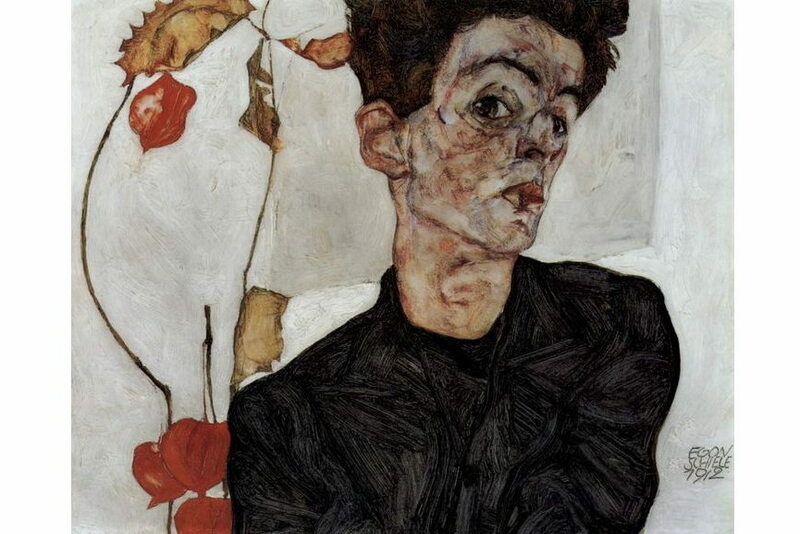 Egon Schiele has executed many self-portraits, and Self-Portrait With Physalis from 1912 is his best-known one. It depicts the 22-year-old artist that is at the same time self-confident and fragile. The composition is balanced and every line finds its continuation or a counterpart to which it corresponds. The hair and the body of the artist are cropped by the edges of the painting and the slander branches with the colored red lampoon fruit is depicted in the background. During this period, Schiele was extremely productive and his expressionistic style of painting became somewhat calmer and more realistic. The Dutch artist M. C. Escher was fascinated by unusual vantage points and something he has described as “mental imagery” often based on theoretical premises. 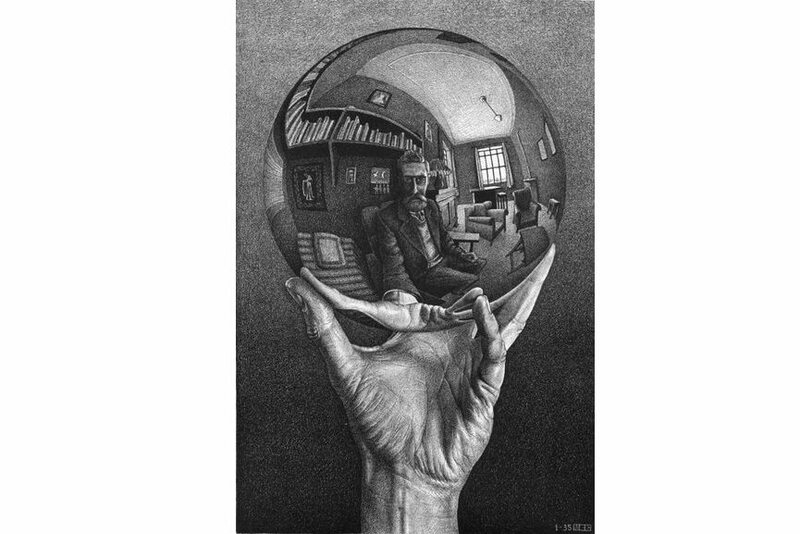 The litograph Hand with Reflecting Sphere, also known as Self-Portrait in Spherical Mirror, depicts a hand holding a reflective sphere where we can see the artist and his surroundings. These self-portraits in reflective convex surfaces were very common in his work and this piece is certainly the most famous example. In this piece, Escher does the unusual and shows the means by which all self-portraits must be created. He makes the mirror the subject of his piece. He is less interested in his own image, but the way the space is distorted by a convex reflective surface. 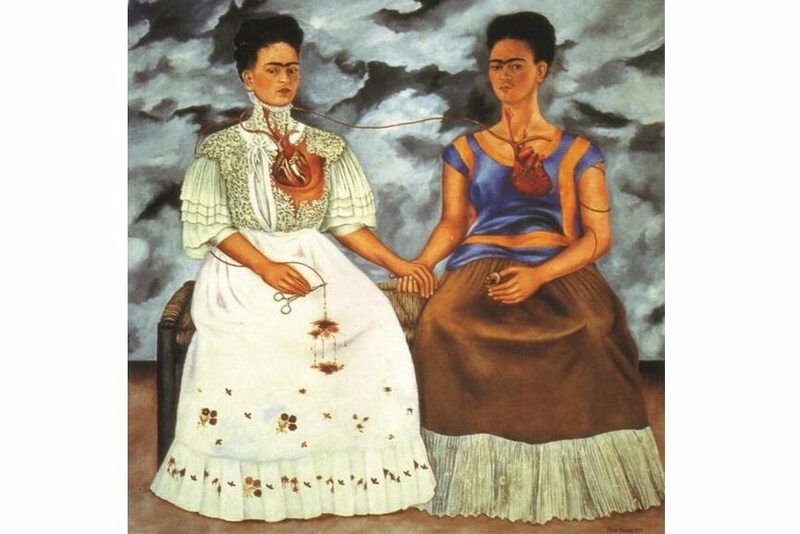 The self-portrait The Two Fridas is one of the most notable and recognized Kahlo‘s works. Depicting two versions of Frida Kahlo seated together, the painting symbolizes her pain during her divorce from Diego Rivera and the subsequent transitioning of her novel identity. 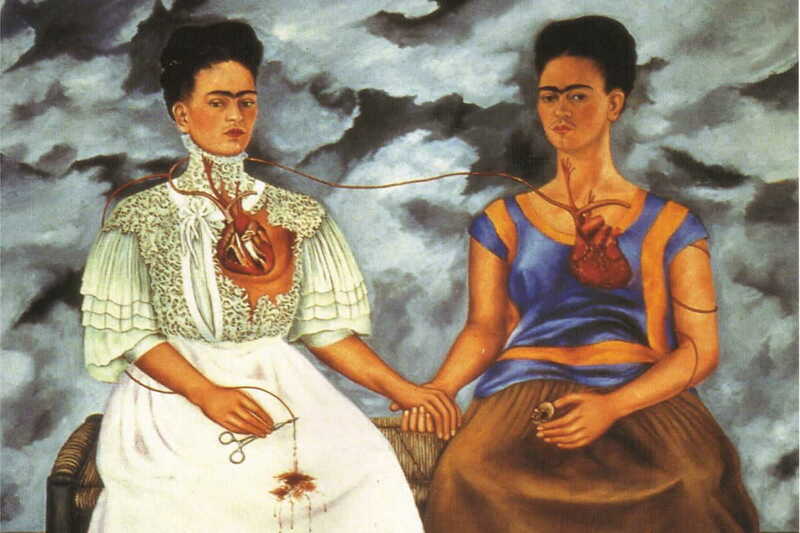 Frida on the right is wearing a white European-style dress, a costume she donned before her marriage to Rivera. During their marriage, she started to explore the traditional Mexican heritage. Thus, the other Frida is depicted in the traditional Mexican costume. This painting also symbolizes her dual cultural heritage. The bleeding heart emphasizes her emotional and physical pain. The blood is a recurring symbol in her work, and it often gestures her ambivalent attitude towards accepted notions of womanhood and fertility. 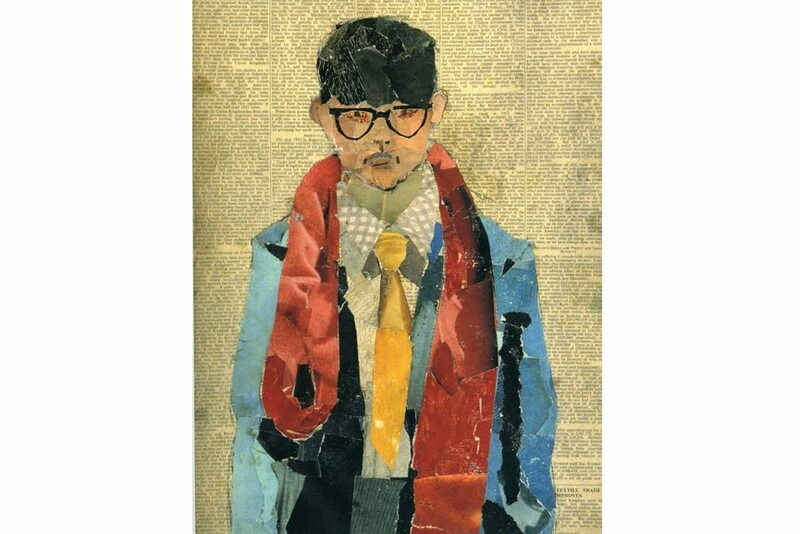 The self-portraits of David Hockney often record the act of self-portraiture, such as the fact of a painter looking in a mirror and trying to record what he sees. His portraits present the ideal of honest observation. This piece from the 1954, is one of his early self-portraits created at the age of 17. The backdrop for this piece is a page from The Times, as he wanted to make a joke with one of the headlines. He was inspired by the headline on page 14 about the fortunes of the wool industry. This piece depicts an artist as a teenager painted against the headline “Textile Trade Improves”. As an intentional reference, it is a playful element of the portrait. The piece was discovered a few years ago, and the artist himself was amazed that it has survived. Find more interesting works by David Hockney on Widewalls Marketplace! 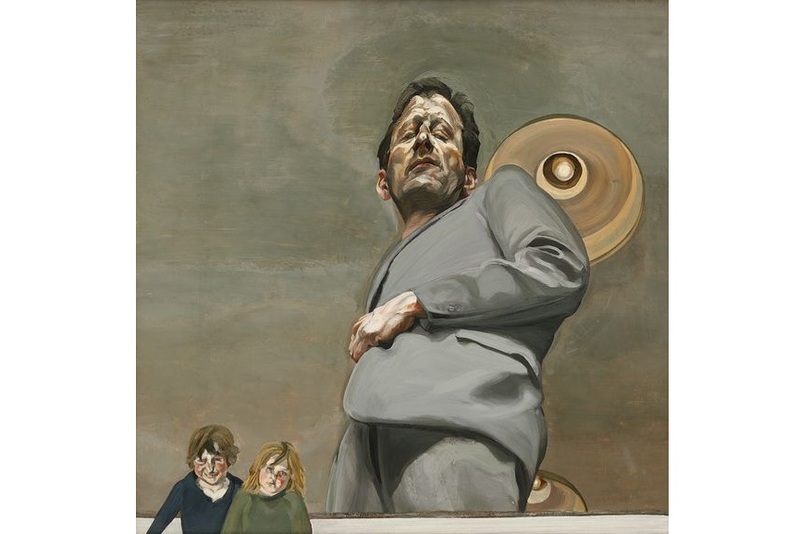 This piece is Lucian Freud‘s self-portrait with his two children Rose and Ali Boyt. It is painted by looking down at his reflection in a mirror placed by his feet. Thus, there is and extreme foreshortening and the halo-like ceiling light just above his left shoulder. This uneasy painting shows the artist as a colossal father figure, while his children are depicted as very tiny. It symbolizes alienation and anxious self-consciousness. The artist made the use of the mirror explicit and he stares at it coldly. He stated he used a palette knife to describe the space around him and smear it to create a strange, gray, voluminous void. The painting Self-Portrait Facing Death is Pablo Picasso‘s last well-known self-portrait and it was done a little less than a year before his death. Typically for his self-portraits, he is depicted with big eyes that seem to swallow up the viewer, but he insisted he is not the one who is doing the looking. The artist is here battered by time and is facing his mortality, and his gaze seems terrified, but brave. 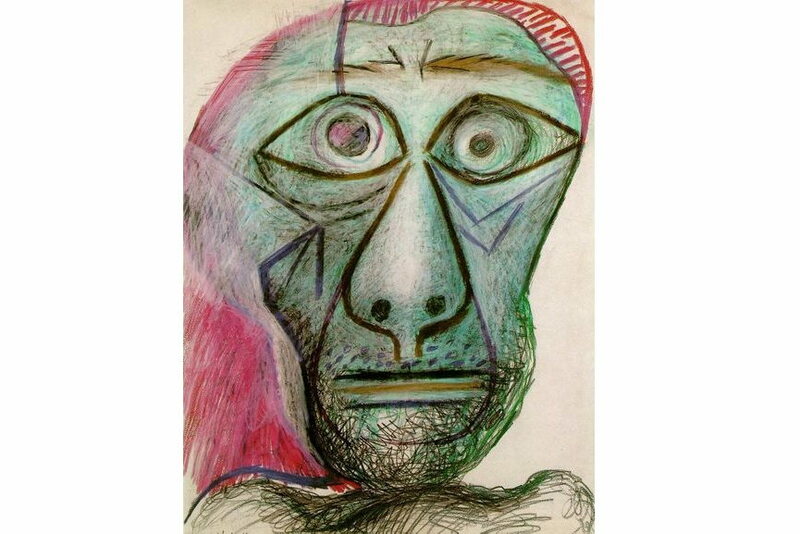 His friend Pierre Daix recalled that Picasso “held the drawing beside his face to show that the expression of fear was a contrivance”.